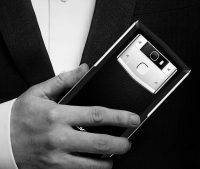 The world’s first 10000mAh tri-proof smartphone OUKITEL K10000 MAX is starting global first presale next week. To give a real definition about its battery endurance, OUKITEL Lab is comparing the K10000 MAX battery consumption rate to iPhone 7 Plus and iPad mini 4.
iPhone X and iPhone 8 were just announced and make iPhone fans crazy, but when looking at the battery life, they can not match with iPhone 7 Plus. This time OUKITEL Lab release the battery by most power consumption way on iPhone 7 Plus which is said to be most durable device in battery life, iPad which can be used longer than iPhone and OUKITEL K10000 Max. All the 3 devices are set to be brightest screen and maximum volume. According to the test, iPhone 7 Plus went power off after 1 hour wechat video chat, plus 1 hour FHD video recording and 50 minutes online FHD video playing. iPad mini 4 turned off automatically after 1 hour Wechat video call, plus 1 hour FHD video recording and 1 hour and 4 minutes online FHD cartoon film playing. On K10000 MAX, it gets 99% power after 1 hour wechat video call, 87% power left after another 1 hour video recording, then when iPhone 7Plus and iPad mini 4 are both power off, it still has 77% power. 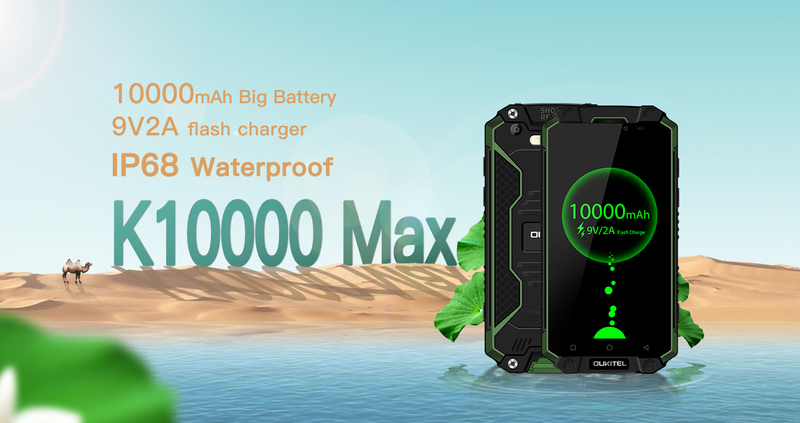 OUKITEL K10000 Max has got 10000mAh massive battery, if you just make 2-3 several minutes calls, reply 5-6 messages, and log in facebook for several minutes, you can use K10000 MAX for more than 1 week. OUKITEL K10000 MAX gets gyroscope and geomagnetic sensor, when you want to find a direction in the wild by compass or play VR games, use it freely. Featured by a 5.5 inch FHD display, 3GB RAM and 32GB ROM, MT6753 octa-core chipset, and its massive 10000mAh battery and tri-proof features, K10000 Max will be sold at $259.99 in limited stock for presale. For those who subscribed K10000 MAX previously, OUKITEL will send the coupon code in several batches. OUKITEL K10000 Max Global presale will start on September 18th and from now on, authorized stores will be listed on top right corner of each smartphone description page with the button “Buy Now”.